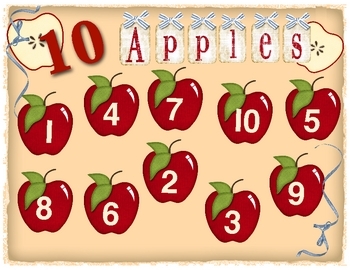 10 Apples is an engaging game to reinforce ten frame number recognition skills. 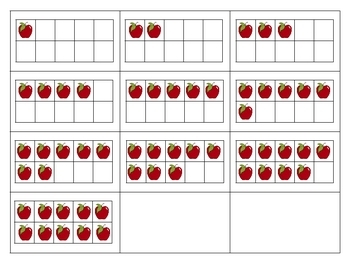 Students take turns choosing a ten frames card and identifying the corresponding number to take apples. 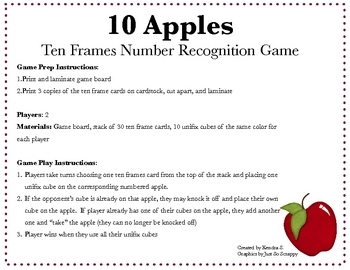 This is a great game for math centers and is perfect for a Fall apple theme!